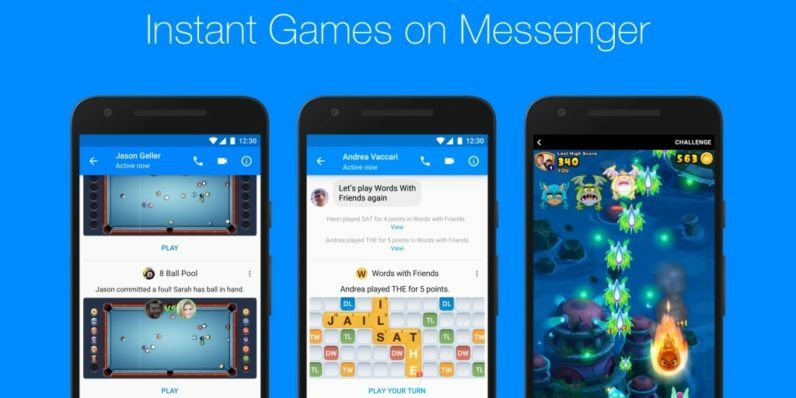 Facebook announced this week it’ll no longer be taking a cut of revenue on games played on the Android version of Messenger, due to the fact that Google’s already taking a fairly large piece of the pie. As part of our continued commitment to helping developer partners scale their games profitably, we are increasing your rev share for games on Android. Developers will retain the full amount of Android [in-app purchase] revenue after deductions from Google, and this is effective starting August 1st. The main reason Facebook’s pulling back on the revenue issue is because Google’s still claiming 30 percent of revenue on Android Facebook games. According to VentureBeat, Facebook would originally claim 30 percent of whatever was left after Google took their cut, meaning the revenue for the developer was halved — not something that makes the prospect of making and supporting games for Messenger very attractive. We’re trying to make our software available to users in as economically efficient a way as possible. That means distributing the software directly to them… and not having a store take 30 percent. If you look at it, the stores on the smartphone platforms actually do very little. I highly doubt Epic Games would be injured by the revenue hit, given its game has been released everywhere else, but smaller developers whose only money comes from their release’s mobile in-app purchases would lose a lot of money were it to pay fees to both Google and Facebook. I’ve had Facebook on notice pretty much all year. But credit where it’s due: Facebook’s pulling back can only be a good thing for Android game developers who want to expand to Messenger. Facebook also said it was going to be keeping revenue from in-app purchases on the web version of Messenger, so it’s still retaining some revenue from Android’s games.